USFWS announces much anticipated Red Wolf proposed rule. 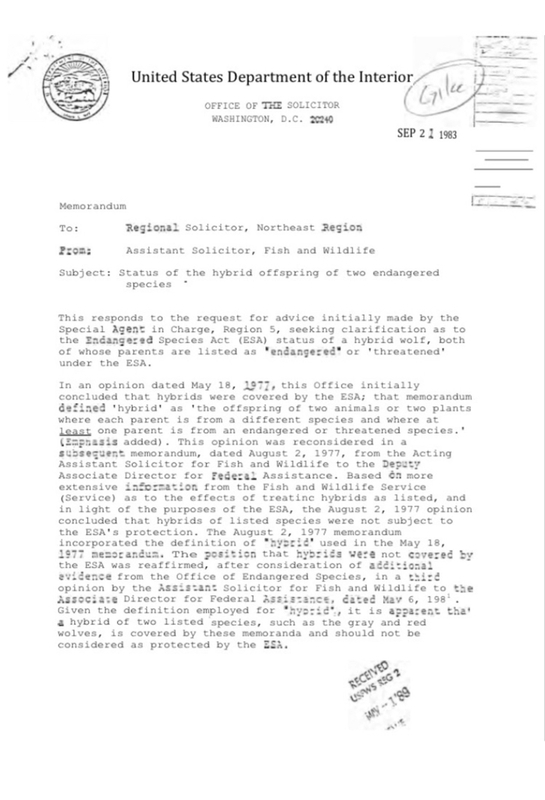 Today, USFWS released its proposed rule and pending comment period. 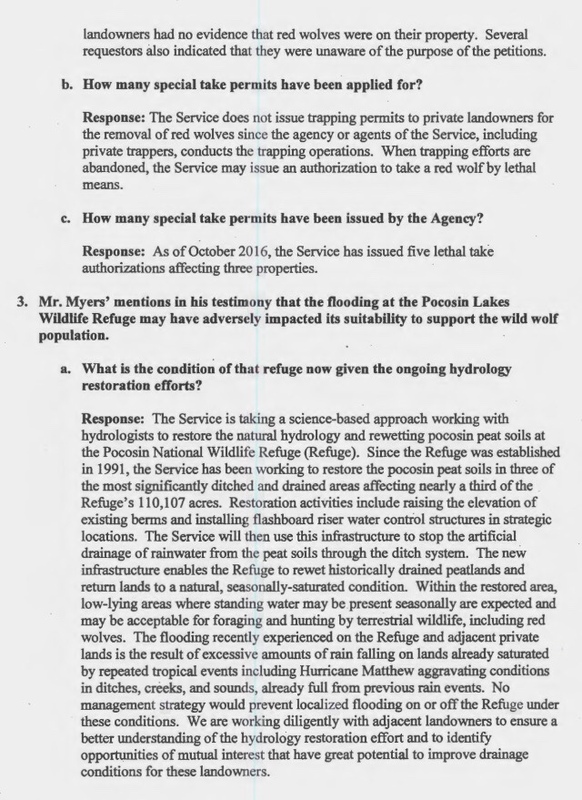 The Service in summary shrunk the size of the Red Wolf management area to include Alligator River National Wildlife Refuge and the Dare County Bombing Range, each being large parcels of federal land. 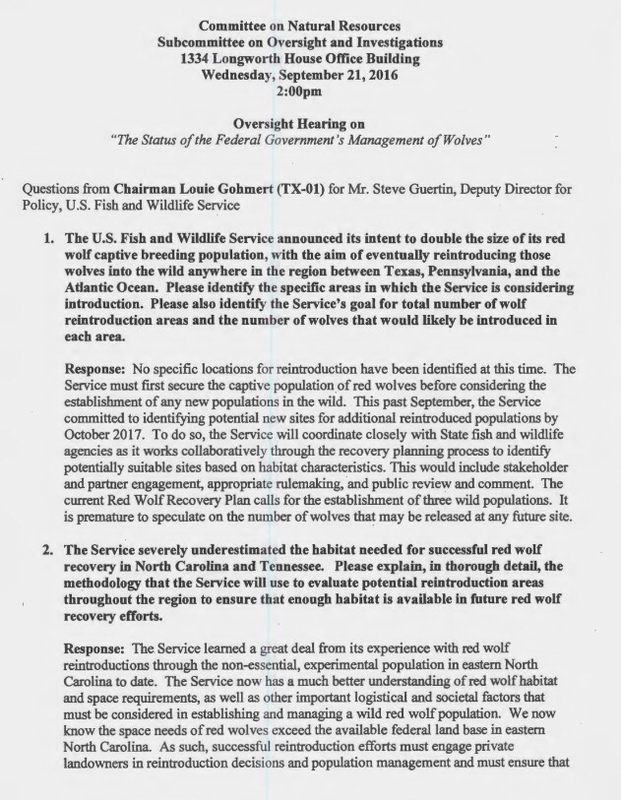 The downward adjustment in the Services designated management area is consistent with number of "known wolves" (VHF Tracking Collared) identified by aircraft. This is aligned with the lack of know wolves as VHF tracking flights by program personnel have been constrained by budgets. 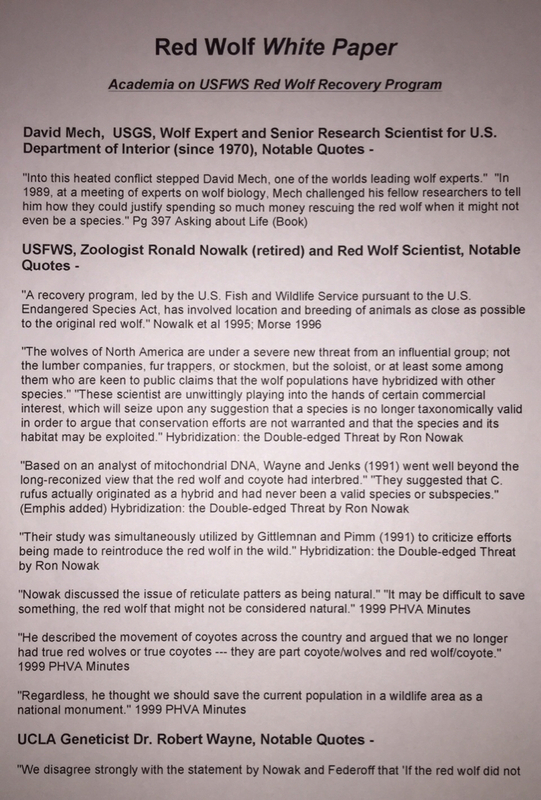 It's easy to realize, the more funding the USFWS awarded grants applicants to study the Red Wolfs the less was available for aircraft tracking flights and personal. 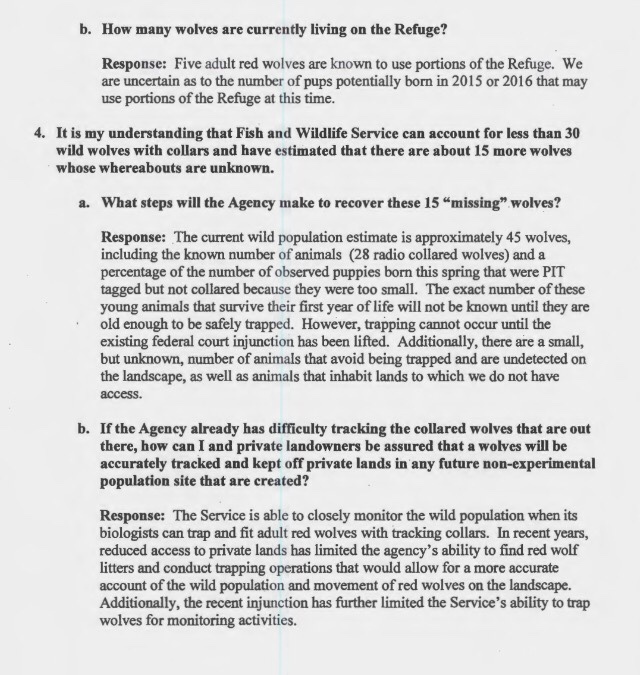 Recent USFWS reports indicate mortality due gunshot isn't a driver of the population, with the last report of a suspected gunshot Red Wolf being 17 months ago. 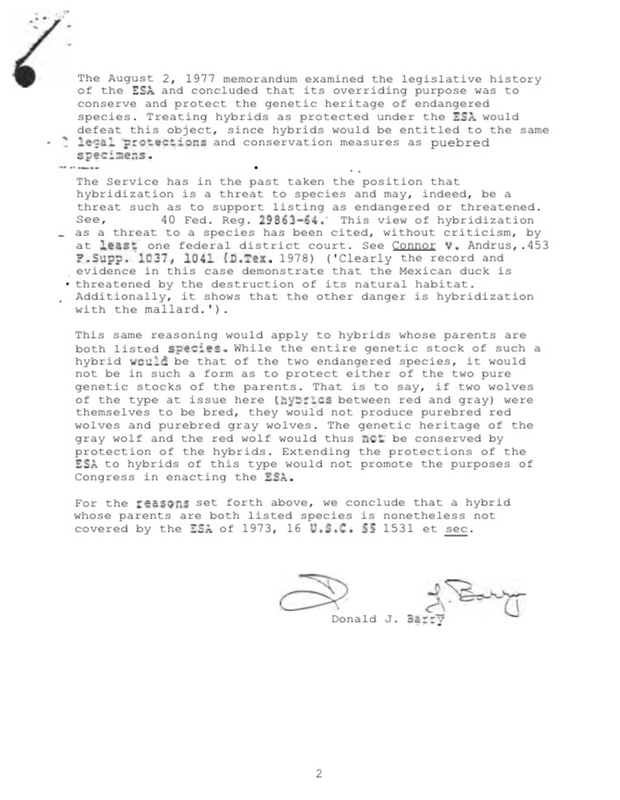 Until today's headlines, most were unaware of the longstanding federal policy that permitted the take of a Non-Essential, Experimental Red Wolf should the take occur beyond the designated 5 county areas consisting of Hyde, Dare, Terrell, Beaufort and Washington Counties. 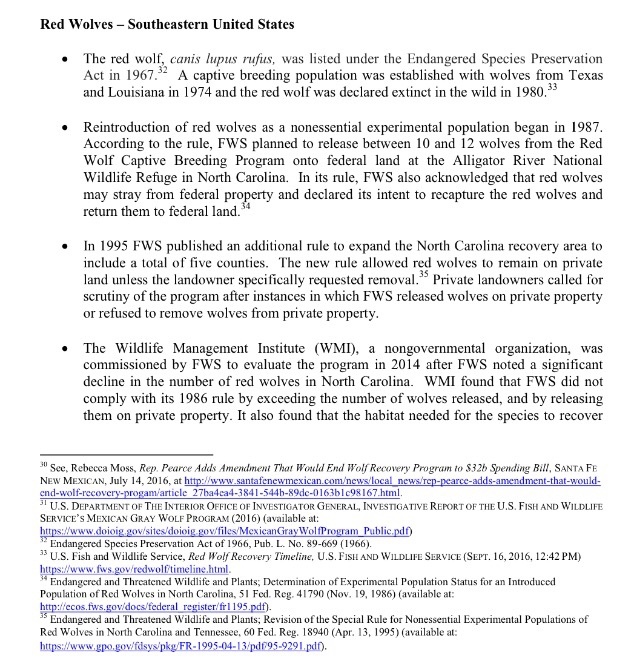 The media continues to under report the facts, case being USFWS illegally removed 120 Red Wolves from the Captive Zoo subsequently introducing 132 wolves in total despite only having federal authority to remove no more than six mated pairs (12 Wolves). Many of these illegally removed and introduced wolves where released on private lands. 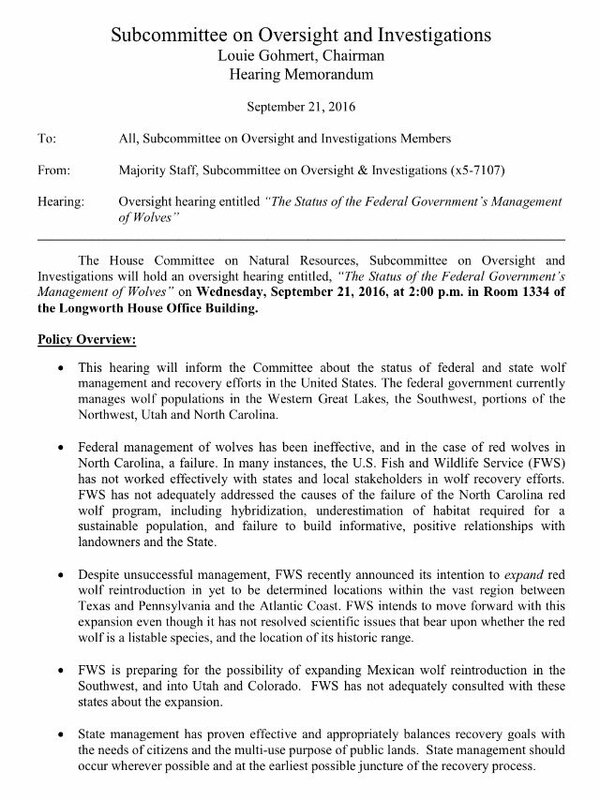 Private Landowners look to sue USFWS over "Inverse Condemnation" and flooding Endangered Red Wolf Habitat on Federal Lands. Inverse condemnation is a term used to describe a situation in which the government takes private property but fails to pay the compensation required by the 5th Amendment of the Constitution, so the property's owner has to sue to obtain the required just compensation. 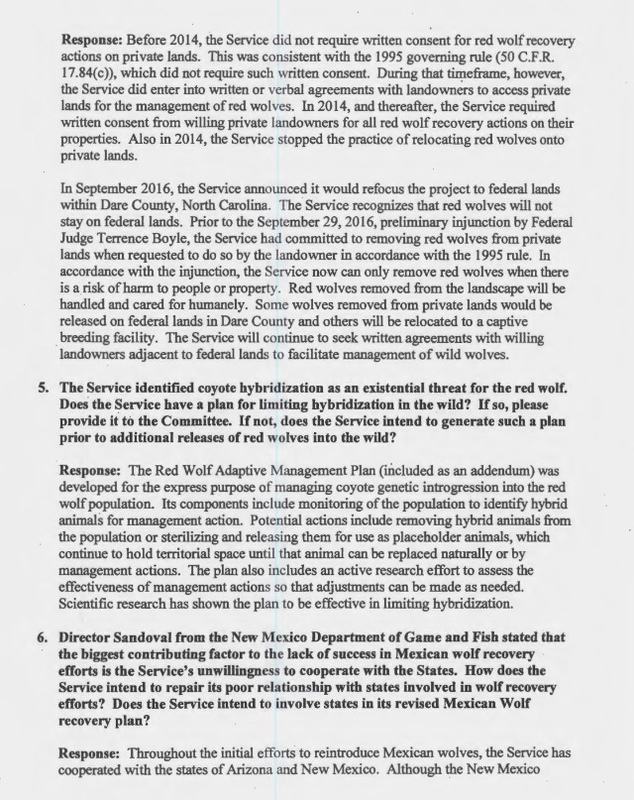 Is USFWS expected to manage its invented, hybrid Red Wolf Program under an Experimental Designation? 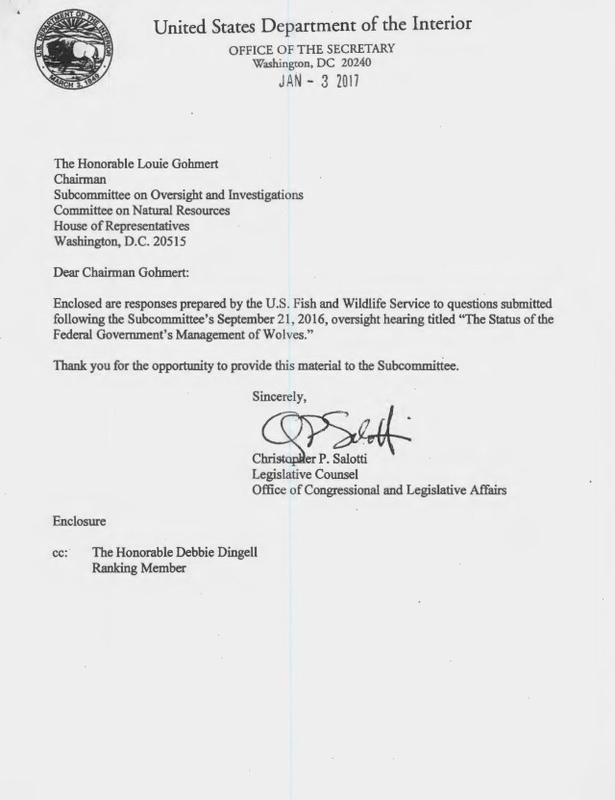 Where is the past due decision from Fish and Wildlife?? Red Wolf Lawsuit takes a hit with plunge in Gun Shot Hybrid Red Wolf Mortality. With no recorded Gunshot Mortality throughout all of 2016 what changed? 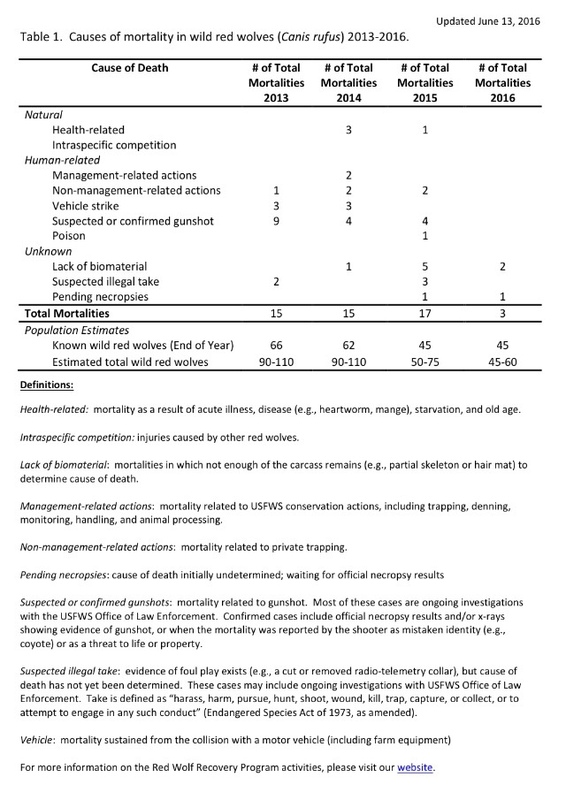 It seems the recorded Mortality "Suddenly" plunged about the same time the previous head of the USFWS Red Wolf program departed. Wonder if the court will dismiss the lawsuit since there's no gunshot wolves to sue over? Can Red Wolves be saved again? Sorry that ship has sailed. If there ever was such a thing, those genes where culled to make room for the one that mesured up to what the "woof experts" thought they should look like. Stick a fork in it, it's done.